happy every time I walk in the door." a home to nurture my body, mind and Spirit." community, then you will feel at home. my body, mind and Spirit." The speed of modern society often veils the overly fragmented lifestyles so many of us lead, causing stress, anxiety, and a lack of attention to what is most important. This can have an impact on our ability to focus and achieve goals, in both our personal lives and our workdays. The Aligned Center, located in Westchester County, New York, was founded on an entirely new concept, designed to align the diverse aspects of our daily lives so that we can work, connect, learn, and grow in community with others. What will you find at The Center? During the day, The Aligned Center is a mindful coworking space offering private and communal offices on the riverfront. We offer balanced, productive and effective workdays in beautiful surroundings and an open-minded community of successful, career-driven men and women. At night, The Center is home to The Aligned Institute, offering a diverse range of community classes, talks and workshops, which are open both to members and the public. We believe enriching learning experiences are an integral part of personal growth and success. We also host free community meditations every weekday morning, and some evenings. In addition, we are home to and sponsored by Aligned Wealth, a revolutionary company created by Center founder, Matt Ludmer, as a means of uniting and increasing both material and nonmaterial aspects of wealth. Our mission at The Aligned Center is to provide a place to experience and explore four dimensions of wealth – heartfelt community, lifelong learning, mind-body awareness, and financial well-being–all under one roof. 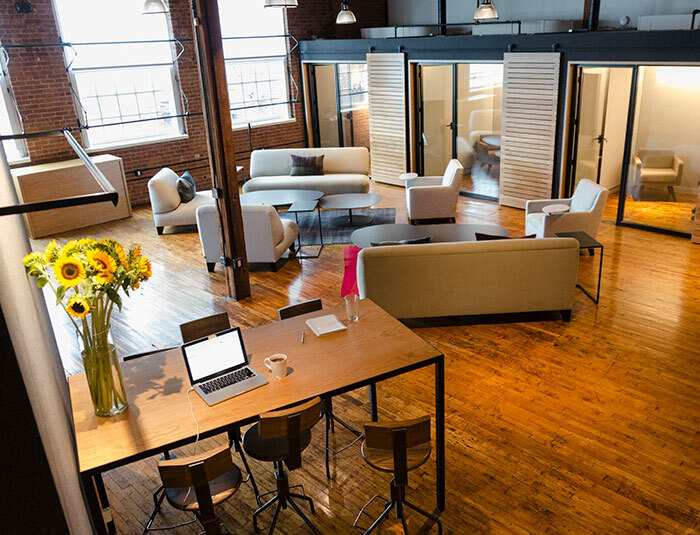 When you become a member of The Aligned Center’s riverfront workspace, whether as a private office holder, family office holder, or collaborative coworking space member, you will enjoy a multitude of benefits! The Aligned Institute refers to our diverse array of classes, talks and workshops (open to both members and non-members) designed to inspire growth in all dimensions. What are the best practices of investment management? The answer is a practice that is designed to grow your wealth, increase your knowledge, and thereby, allow you to invest and relax. 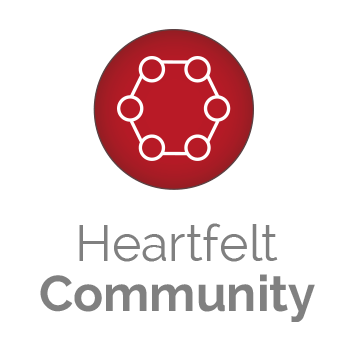 Gather with open-hearted, open-minded, and driven individuals to work, connect, and grow. Stimulate your mind, cultivate your imagination, and increase your wealth of knowledge with a diverse array of classes, talks and workshops with leading teachers in their fields. 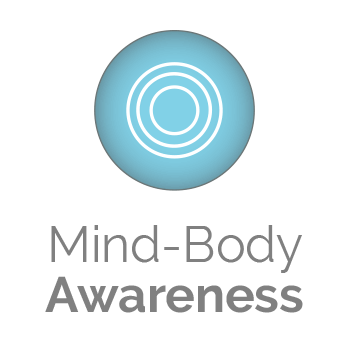 Everything we do at the center aims to enhance the health of the mind and body, and to offer opportunities for balance, personal well-being, and productivity. A beautiful, warm, state-of-the-art loft space overlooking the Hudson River. 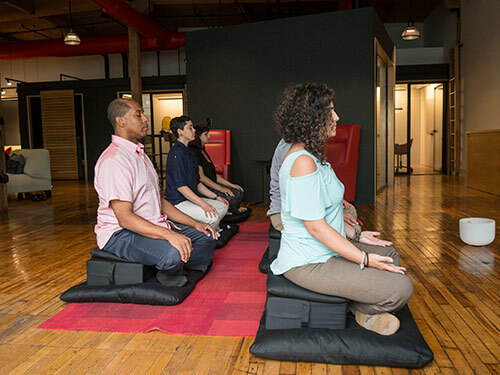 Eat at Red Hat, then come work, meditate, or participate in an event here. Create the experience you desire! Balance, calmness, and heartfelt connection during the workday can increase effectiveness and change your life. Come accomplish your work goals while elevating your mind, body and spirit! The Aligned Center is specifically designed to empower a life that is aligned and balanced, and that generates true wealth in all dimensions. New 7-class series starting March 7th! First class is free! See details below. Open to new and experienced meditators who wish to explore and develop embodied meditation. These body-based awareness practices drawn from Tibetan yoga cultivate profound relaxation and deepen our connection to the grounding and healing energies of the earth. Drawn from the Awakening the Body practices developed by Reggie Ray, PhD, founder of Dharma Ocean, the core somatic practices taught will include the 10 Points Practice, Earth Descent and Yin Breathing. Most of the practices are taught lying down on cushions and then finish in the seated meditation posture. Cultivating awareness of the subtle energies in the body through deep relaxation and active “looking” not only decreases discursive thinking, but unlocks the experience and wisdom of the soma–the totality of our body and mind. For experienced meditators, training in these practices can transform and energize your meditation practice. And for beginners, these practices will ground you in the awareness of your body so that you can avoid the trap of meditation becoming merely a mental exercise. $70 for the remaining 6-class series, or $15 per class. Please bring cash or check at the door. Julie Farmer is a practitioner of Vajrayana Buddhism in the tradition of Chogyam Trungpa. An impassioned proponent of embodied meditation, she teaches the body-based awareness practices derived from Tibetan yoga developed by Reggie Ray PhD, founder of Dharma Ocean. Julie is also a teacher and meditation instructor for the Westchester Buddhist Center. Formerly an orthopedic physical therapist, Julie also has a massage therapy practice, Massage for Deep Relaxation. As in somatic meditation, helping people identify and release muscular holding patterns allows the physical circulation and subtle energies to flow freely in the body, providing a fertile environment for personal growth and transformation. In this unique daylong workshop, we will explore both archetypal symbolism and Systemic/Family Constellation therapeutic modalities, as two foundational and interconnected ways of understanding what shapes us and our culture, and as methods of going inward to hear what calls us forward. Archetypes are symbols that exist across individuals and cultures, possessing qualities of light and dark, and informing both our social and psychological lives. To understand them at work in our lives leads to greater self-awareness and, therefore, to greater understanding of others. To explore archetypal symbols is to allow the unconscious to become more conscious, both individually and collectively. Using what we learn about archetypes, we will then engage in experiential Systemic/Family Constellation work to further explore the archetypes and how they can help us connect to ourselves, further our self-understanding, and facilitate our movement into the future. The workshop will include presentation, practice, question & answer, and experiential Systemic/Family Constellation work. See below for a detailed schedule. Are you in the finance industry, and looking for a way to find greater meaning, enjoyment, and connection? The Aligned Center is making revolutionary strides in uniting the worlds of finance and personal development, with classes like Wake Up Wall Street, Invest and Relax, The Path of Conscious Business, and Holistic Wealth, offered by CEO and former Morgan Stanley advisor, Matt Ludmer. Here at the center, we truly value a holistic balance of business, connection, and inner well-being. To help share this model of living with others in finance, we invite you to join us once a month for the Aligned Financial Network social hour in our state-of-the-art loft office space overlooking the Hudson River. Enjoy cocktails, light refreshments, and good conversation in a serene space with your peers.